Short on time? 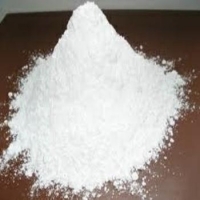 Let gypsum-powder sellers contact you. 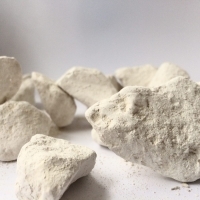 Natural Gypsum: Gypsum (CaSO4.2H2O) is a naturally occurring mineral mined from deposits formed by ancient sea beds as a raw material, white when pure, but commonly grey, yellow, red or brown, owing to impurities. The anhydrous form (CaSO4), anhydrite, is common. 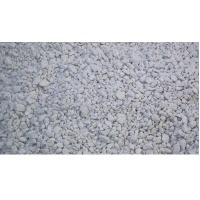 We are enlisted amongst the topmost INatural Gypsum Importers and Exporters from India. Applications: Gypsum has many industrial applications in its raw or Calcined forms, especially in the building and construction industries. Uses of Raw Gypsum are principally as: - a retarder for Portland cement - a fertilizer or soil conditioner - mineral filler - oxidizing agent in glass manufacture or other industrial applications. Most gypsum is calcined and used in the manufacturing of plaster products. Wallboard and plaster requires gypsum contents greater than 85%, although producers prefer a minimum of 94–95% along with whiteness in color. The major consumers of the Gypsum at present are Cement Industry. By weight about 4% to 6% Gypsum in crushed condition is utilized in Portland Cement Manufacture after mixing with cement/clinker. Gypsum acts as a retarder and controls the setting time of cement. Imported Gypsum from Iran: Natural Gypsum is one of the most superior qualities and consistent material available for Import and Export. 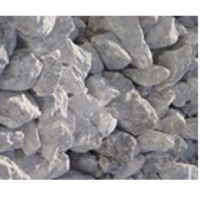 Natural Gypsum has adequate whiteness, high purity as well as it is low in cost which makes it absolutely feasible for white cements as well as Plaster Of Paris manufacturing and for the Cement Industry all together. 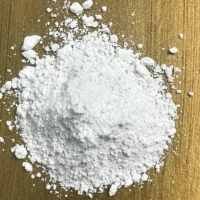 One more important quality that distinguishes Natural Gypsum from others is its hardness which is less as compared to other sources and allows different industries to easily grind the same for processing into final product which in turn results in to reduced power consumption for manufacturing industries. Gypsum powder. Every bag contains 50kg polly bag. Purity level 98+... 20kg,50kg bags. During last decade Guar has immerged as an important industrial raw material and Produced by man for thousands of years. India has been the single largest producer and exporter of Guar gum accounting for more than 80 percent of the global output and trade. Guar has now assumed a larger role among the domesticated plants due to its unique functional properties. India Ranks First in the production of guar which is grown in the North Western part of the Country which mainly includes the states of Rajasthan, Gujarat, Haryana and Punjab. Other main countries are Pakistan, U.S.A and Brazil The by-product of Guar Gum industry consisting of the outer seed coat and germ material is called guar meal. The Guar meal after gum Extraction is a potential source of protein and contains about 42% crude protein which is one and a half times more than the level of protein in guar seed. The protein content in guar meal is well comparable with that of oil cakes. It is used as a feed for livestock including poultry. Guar meal contains two deleterious factors i.e. residual guar gum and trypsin inhibitor, Toasting of Guar Gum improves its nutritive value in chicks. 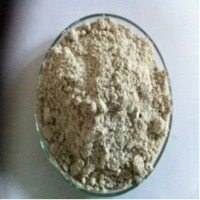 Toasted guar Meal can be used in limited quantity i.e. Up to 10% in Poultry diet. However it can replace groundnut cake by almost 100% in animal feeds. 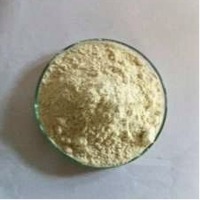 Guar Gum (Galactomanan) is a high molecular weight carbohydrate polymer made up of a large number of mannose and galactose unit linked together. The crude Guar Gum is a greyish white powder 90% of which dissolves in water. It is non ionic polysaccharide based on the milled endosperm of the guar bean whose average. Composition is:	Hydrocolloid: 23% Fats: 40% Proteins: 34% The most important property of the Guar is its ability to hydrate rapidly in cold water to attain a very high viscosity at relatively low concentrations. Its specific colloidal nature gives the solution an excellent thickening power which is 6 to10 times thicker than that obtained from starch. It is stable over a wide range of PH and it also improves the flow ability and pump ability of the fluid. It is a superior friction loss reducing agent.